Emergency heating and cooling repair and service issues happen, when they do you can count on Hawk PHAC to be there! 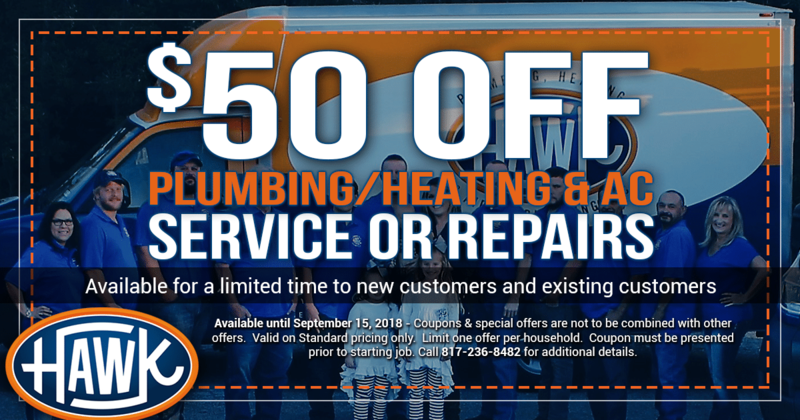 Whether your heating unit went out and its 10 degrees outside or your AC wont cool and its 105, you can count on the team at Hawk to be there and get your system up and running ASAP. Even the most prepared homes can encounter an emergency when the heating or cooling system stops working. Your home is your comfort zone and when your comfort zone gets way too hot, or extremely cold all your comfort seems to disappear and turn into stress. Stress because its uncomfortable & stress because the thought of the expense to have the system repaired or replaced. We understand your concerns, so we will come to your home assess the situation and give you an upfront price to fix it. No guessing, no waiting, just answers and solutions to your current HVAC issue. Below we have outlined a few items that can help reduce the chance of an emergency HVAC problem from happening. Preventive Maintenance: Keeping your system maintained can help increase the life of your system. Having your system inspected at least once a year can drastically reduce the chances of an emergency arising. Proper Service: Having your system serviced improperly can be a life shortening experience for any heating or cooling system. Make sure you always have a licensed & trained technician working on your systems to help prevent costly mistakes or errors that can be very expensive down the road. Replace Outdated Systems: With an older system, you are more likely to have an emergency situation arise. Having a newer more energy efficient system installed not only reduces the chances of an emergency, but also will help save money on your bills each month. Hawk PHAC is a local & licensed heating & cooling company located in Fort Worth. For over 30 years we have served Fort Worth and surrounding TX communities. Our #1 priority has always been our customers and we treat every customer like they are family, because they are, part of the Hawk PHAC family!